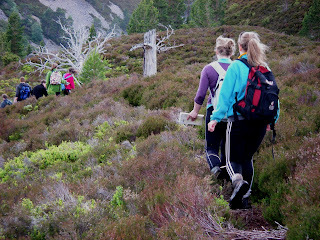 On Saturday we were with a group a Glenmore Lodge, they had taken over the place and we were providing their activities. What fun we all had! Charlie was Rafted Canoeing on Loch Morlich, Ian was having 'Fun Sessions' and Archery, I was Arching and Indoor climbing. The exhuberance of the people was wonderful even though it was pouring outside. Most of them had never met before but here they were giving their all and helping each other to get the most out of everything they tried. There was some beauty therapy going on too for those who wanted a quiet life! We all felt privileged to be with such lovely folk and hope we will see them again in the not too distant future. 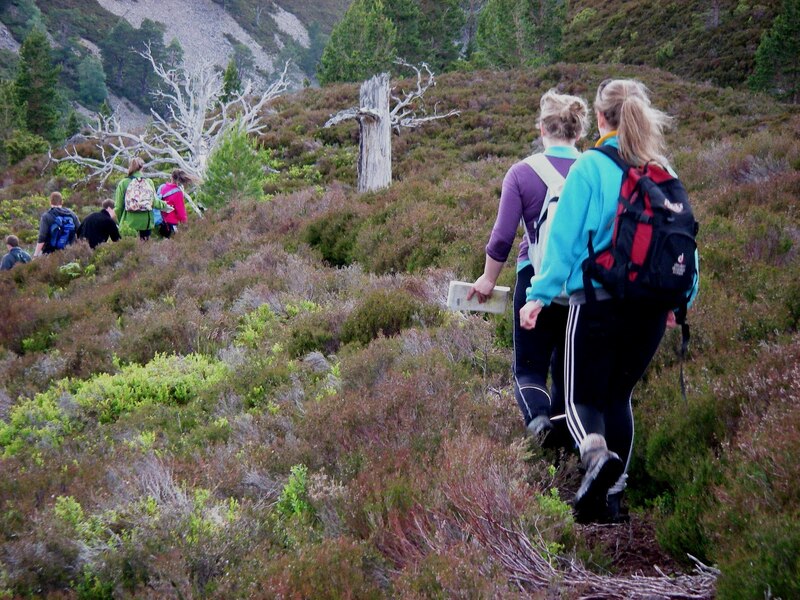 On Sunday we were with a group of teenagers practising navigation around the Coire na Ciste area. They are in the process of planning a Gold DofE practise Exped. Most were interested in learning and worked hard.